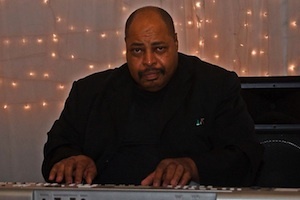 Yesterday, the music world lost another great keyboardist, Donald Blackman. My earliest recollections of Blackman came during his tours with jazz drummer, Lenny White. In 1978, I saw Blackman during White’s legendary “Astral Pirates” tour, at the now-defunct, Cellar Door, in Washington, D.C.’s Georgetown. Blackman was simply amazing; a soulful singer; a fabulous organist and killer keyboardist; he clearly had a soulful style that was all his own; not an easy task in those days, especially in an era that included electric keyboard wizards like Chick Corea, Joe Zawinul, George Duke and Herbie Hancock. Two years later, my friends and I waited outside another, now-gone D.C. club, the Bayou; this time to see Lenny White’s “Streamline” tour. As fate would have it, there was also a sudden snow storm that night. As the line grew and the snow fell, the upstairs window opened and out popped Lenny and then Blackman who said, “Why don’t ya’ll come inside? In fact, stay for the second set? On us!” We cheered, the doors opened shortly, and one of the best shows I’d ever seen was about to begin. According to his wiki page, “Blackman was born in Queens, New York on September 1, 1953; his neighbor as a child, was Charles McPherson, and while still a teenager, he played in McPherson’s ensemble with Sam Jones and Louis Hayes. At the beginning of the 1970s, he played with Parliament/Funkadelic, Earth, Wind and Fire, and Roy Ayers, before becoming a member of Lenny White’s groups Astral Pirates and Twennynine, for whom he penned songs such as “Peanut Butter” and “Morning Sunrise”. He released his self-titled debut solo album in 1982 on Arista Records, including the songs “Holding You, Loving You”, “Heart’s Desire” and “Since You’ve Been Away So Long” that became minor hits in Europe. Blackman also worked as a session musician, appearing on albums by Kurtis Blow (Kingdom Blow), Bernard Wright, Najee, David Sanborn, Lenny White, Roy Ayers, Sting (Brand New Day), World Saxophone Quartet, Janet Jackson’s “That’s the Way Love Goes” (Remix) and Wayman Tisdale. He wrote the composition “Live to Kick It”, which appeared on Tupac Shakur’s album R U Still Down? (Remember Me), “Dear Summer” which appeared on Memphis Bleek’s album “534” featuring artist Jay-Z, and “Holding You, Loving You” which appeared on Master P.’s album “I Got The Hook Up”. One of my favorite songs by Lenny White to feature Blackman, was the beautiful “I’ll See You Soon”, from Lenny White’s fourth solo album, “Streamline”, and the 2nd to feature Blackman following Astral Pirates. Streamline also featured the great bassist Marcus Miller. When I first arrived in NYC in 1980, it was actually getting airplay on the local jazz stations. Like Blackman, it’s something I will never forget. Thanks for the wonderful music my man. E. “Doc” Smith is a musician, producer and recording artist with Edgetone Records, who has worked with the likes of Brian Eno, Madonna, Warren Zevon and John Scofield among others. He is also the inventor of the musical instrument, the Drummstick.